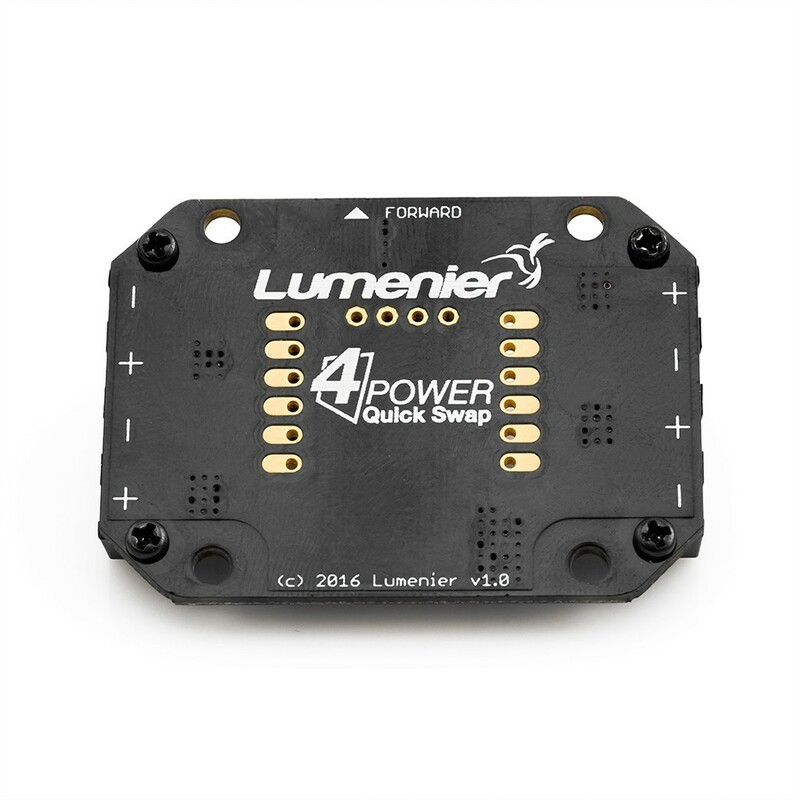 The Lumenier 4Power quick swap power distribution board enables quick solder-less arm connections on the Lumenier QAV-R airframes. 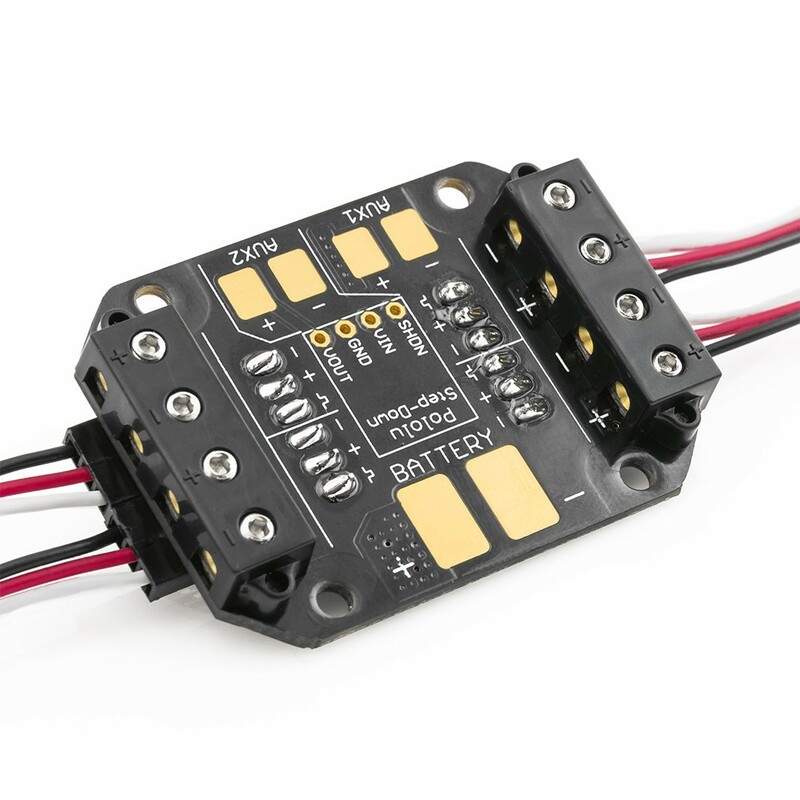 The lipo battery power is supplied into the 4Power distribution board and the ESC power is routed into the specially designed power taps, the ESC servo connections are made underneath the power connection. 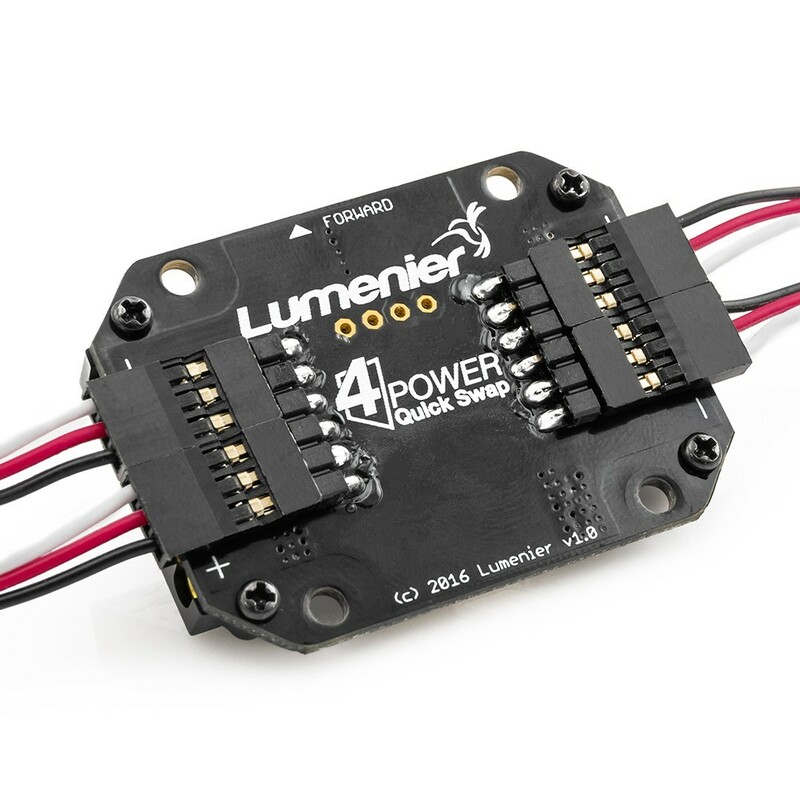 The design of the Lumenier 4Power quick swap power distribution board enables you to detach both ESC power and Servo connections in seconds and without the need of a soldering iron or taking your airframe apart. 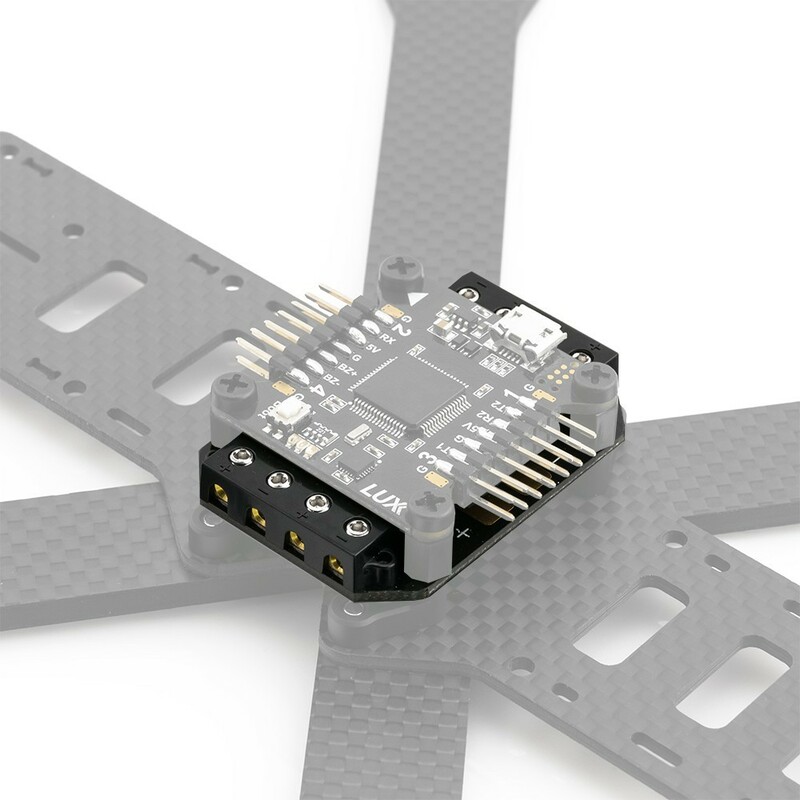 Compatible with any ESC, no special connectors are required on the ESC's power cable either. To install an ESC you have to bare the power wires, that's it! 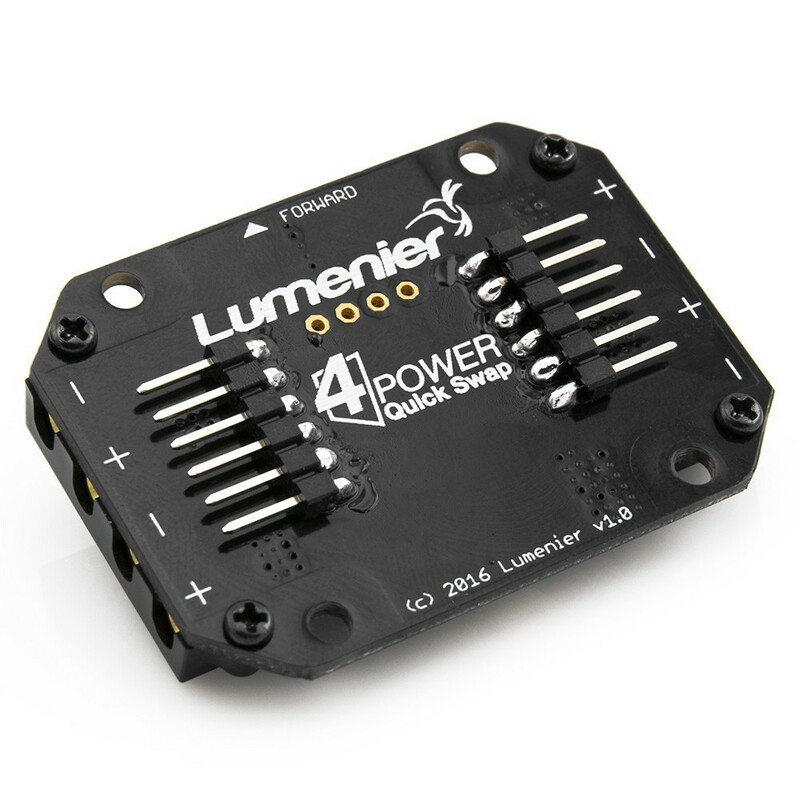 If you already use a 2mm bullet connectors you don't need to remove these to upgrade to the Lumenier 4Power quick swap power distribution board as these are a perfect fit as well. 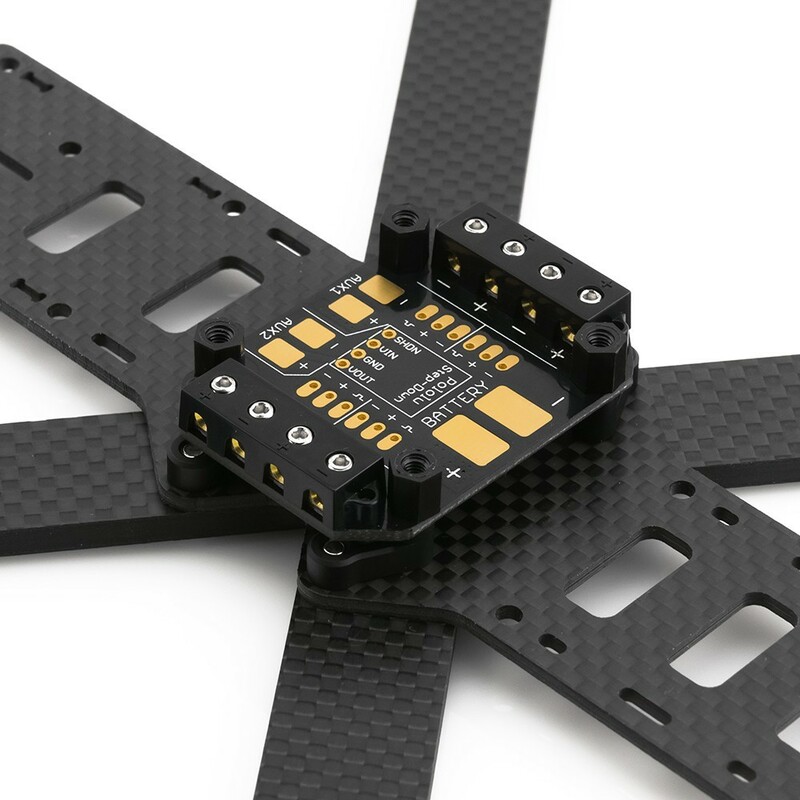 The Quick Swap board uses the standard mounting holes used by most flight controllers of 30.5mm. This 4Power board makes servicing of airframes such as the QAV-R very easy. 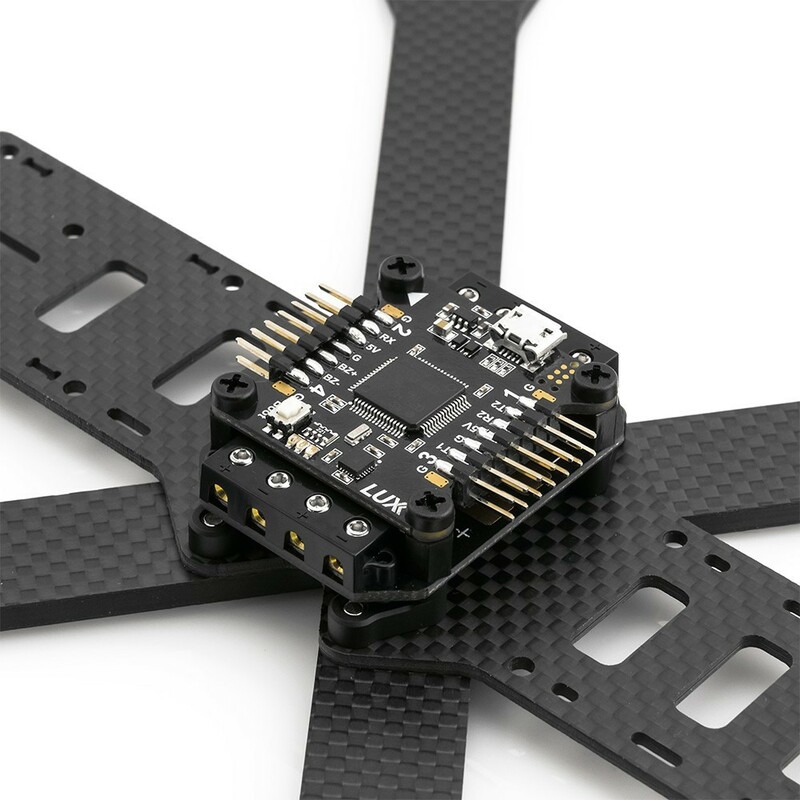 Also by taking a few pre-built arms out flying with you means that replacing a damaged motor or burned out ESC at the field is only a few minuets work, without needing the use of a soldering station. The included right angle pin headers can be soldered directly to the PDB. 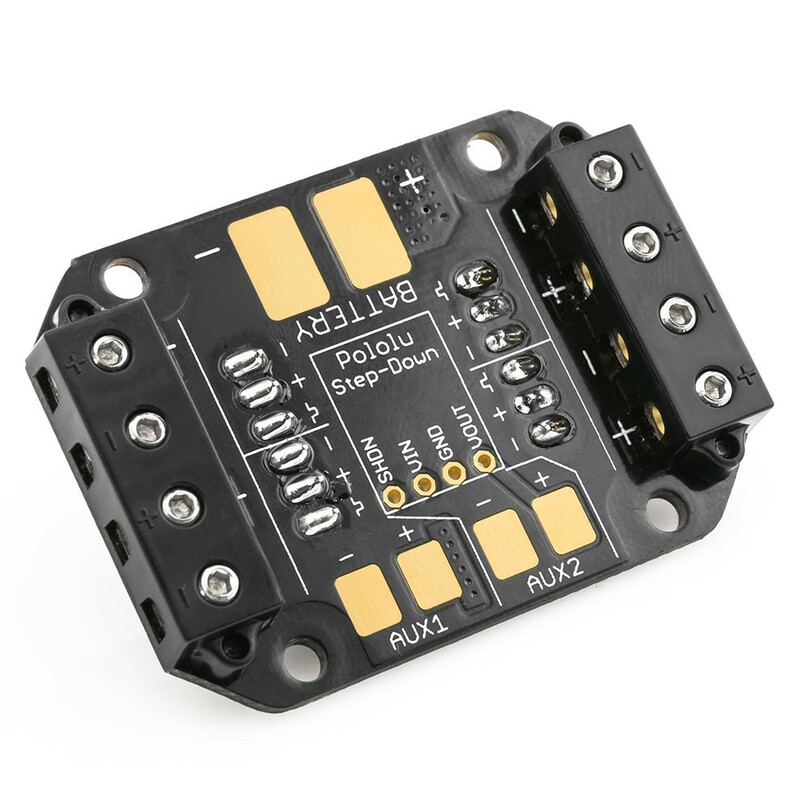 There are solder pads adjacent to the pin header holes which enable you to use short wires to jump the ground / signal wire to your flight controller. 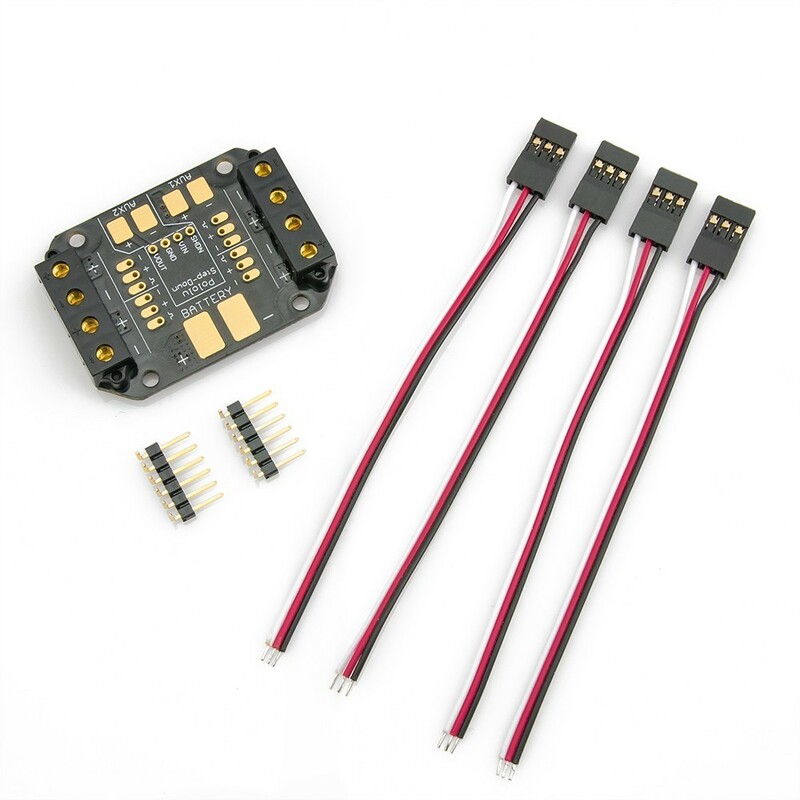 These features allow you to hot swap your ESC signal cables without the need for desoldering from the FC.